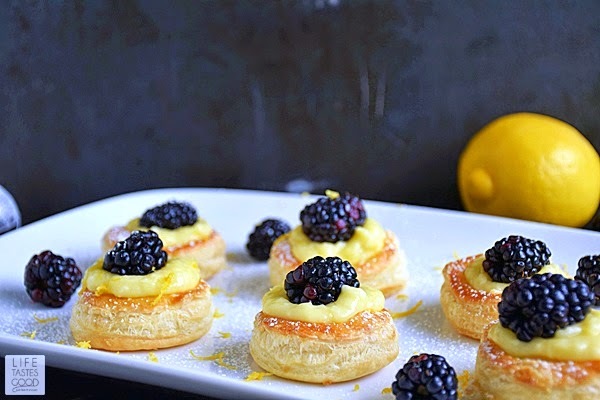 Lemon Blackberry Mini Tarts make an impressive dessert perfect for special occasions, such as Mother's Day. 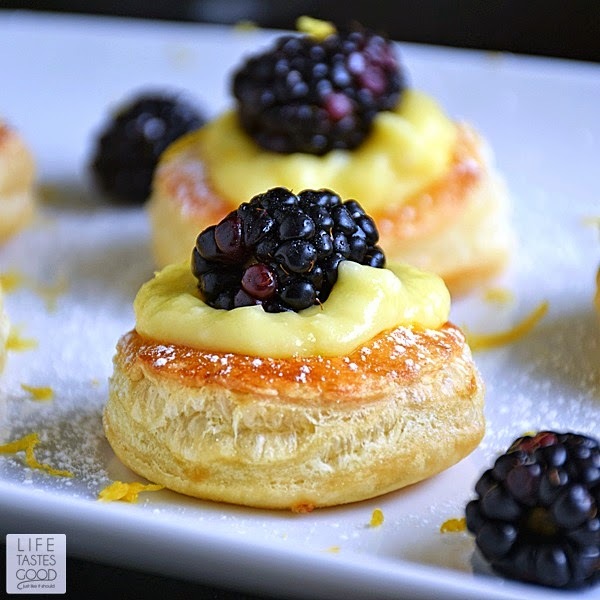 The cutest little pastry puff encases my incredibly easy-to-make Luscious Lemon Curd topped off with a sweet and juicy blackberry. This dessert is sure to brighten your day with the fresh citrus flavors, and you won't believe how easy this gorgeous dessert is to make! Just like me, my mom loves anything lemon, so that makes this tasty treat the perfect dessert for our Mother's Day celebration. Not only will we enjoy eating this elegant dessert, I'll enjoy how easy it is to make! shhhh don't tell mom I'm taking the easy way out for her Mother's Day dessert, she'll no doubt think I slaved over these impressive pastries! The buttery flaky puff pastry is already made, so I just have to unfold, cut out some circles, and bake them for 15 minutes. Check out this video on allrecipes to see just how easy these are to make. The Luscious Lemon Curd is sweet and tangy and made in the microwave in just 3 minutes! It's true! Lemon Curd is so easy to make and nothing compares to the taste. My mouth waters just thinking of the tangy creaminess bursting with fresh lemon flavor! It is so good! Tip: Make the Luscious Lemon Curd ahead of time so it has time to chill. The day before is best. Preheat oven to 400°F and line a baking sheet with parchment paper . Allow puff pastry to thaw for about 5 minutes until you are able to unfold the pastry and lay flat. Using a round cookie cutter the size you want your tarts (I used a 2" round cutter), cut out as many circles as you can. I was able to get 12. Place the circles on the parchment lined baking sheet. Using a smaller round cookie cutter , cut out inner circles in each and leave the inner circle in place. Brush each pastry with the beaten egg and bake in the preheated oven for 15 minutes until nicely browned and puffed. Cool completely. Once cooled, carefully cut around the inner circle and push it down inside the pastry creating a nice little opening for adding the lemon curd. 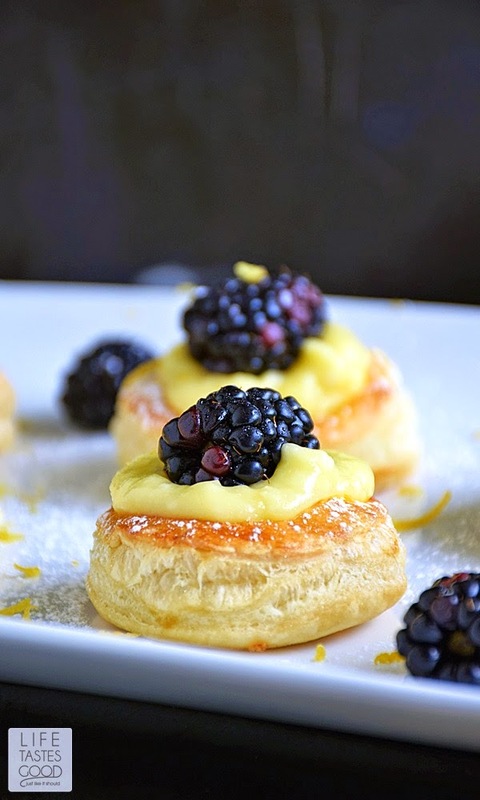 Fill each pastry cup with lemon curd and top with a blackberry. Dust with confectioners' sugar and garnish with finely grated lemon zest . Enjoy! You got me at puff pasty. Wow, how perfect, those have me drooling! What a fabulous treat. So easy, and what a crowd pleaser!!! Making this one soon!! I couldn't agree more! Sure made for an easy dessert that everyone loved :) Thanks, Liz! Lemon and Blackberry are two of my favorite things togehter. I can't wait to make these mini tarts! Such an easy, beautiful dessert! Love the lemon and blackberry combo! These little tarts are mouthwatering! What beautiful photography! YUM! These are adorable and sound delicious. Happy Mother's Day. Blackberries are my favorite berry. I've recently become a lemon dessert convert so I haven't combined these flavors yet, but now that I see how beautiful they can be together...it'll be happening very soon! Thanks, Shaina. Glad you found lemon as a dessert. 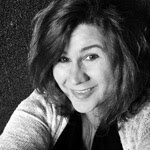 There are so many wonderful things you can do with it and it is so refreshing! This has everything mom and I love! What a clever way of filling the puff pastry. These beauties are making my mouth water.